In June 2017, we picked the top 7 things that we wanted Bad Wolf to nail in the adaptation of our favourite books. Now that the first season has been completed and aired in the UK, Canada and the US, we would like to take a look back and see how our wish list did. We can safely report that while we are no seers, we did see one wish fully come true (there’s hope for us, aspiring seers). And there are so many lovely details in the TV adaptation that are not in our wish list, which we are extremely pleased with. Rather than go number by number, let’s look at what we got, and what we have to wait for. l take a look back and see how our wish list did. Wales is an absolutely magical country and extremely versatile from a TV production point of view. In A Discovery Of Witches, Wales plays Oxfordshire, Scotland, the Auvergne, Madison County in upstate New York, and even Finland! Rest assured that we have not reshuffled the tectonic plates or flanked a geography class. Apparently, impossible n’est pas Wales! 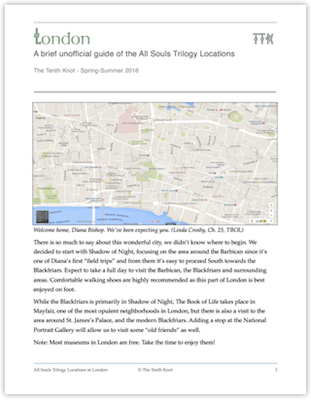 And Bad Wolf simply hired one of the most talented and knowledgeable location managers to find and supervise the best locations in the UK, Gareth Skelding—“Gaz” to friends and colleagues. 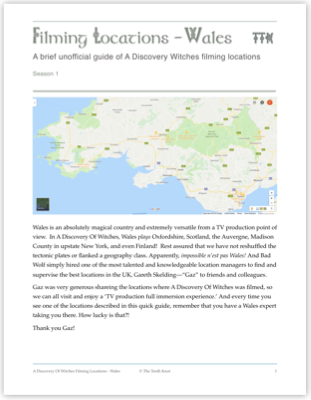 Gaz was very generous sharing the locations where A Discovery Of Witches was filmed, so we can all visit and enjoy a ‘TV production full immersion experience.’ And every time you see one of the locations described in this quick guide, remember that you have a Wales expert taking you there. How lucky is that?! 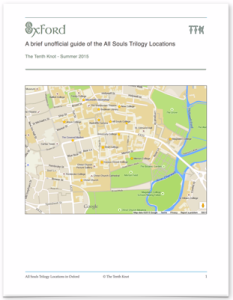 We’ve started the countdown to a very important day: All Souls’ Day and Matthew’s birthday … and it’s not all. It’s also the last day of Deborah’s book tour in the UK and Ireland, which will conclude in London, as well as the airing of the last episode of the first season of A Discovery Of Witches in the UK. Since Matthew’s birthday falls on All Souls’ Day, we have a Matthew-themed prize pack in partnership with All Souls Con. Hint: wine and DNA might be involved. Enter every day for a chance to win! The contest ends on All Souls’ Day.